With nearly two decades of service, Eugene Orloff, OD, is an established expert in the field of optometry and overall eye health. Dr. Orloff is the founder of Bronx Eye Associates in the Bronx in New York City. After earning his doctor of optometry degree from the State University of New York College of Optometry in New York City, Dr. Orloff went through additional training. 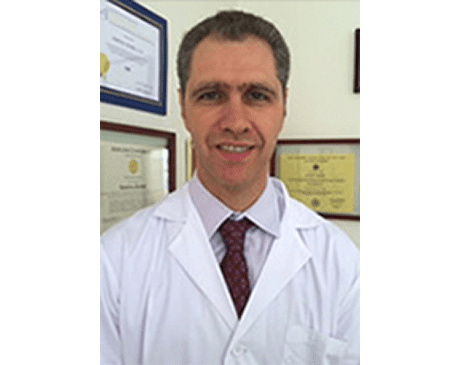 During his residency at Northport Veterans Affairs Medical Center in New York, Dr. Orloff gained extensive experience and training with ocular disease and binocular vision dysfunction. As a dedicated researcher, Dr. Orloff was the recipient of a prestigious National Institutes of Health grant during his graduate studies. He was even awarded a Humanity Development scholarship from the State University of New York College of Optometry for his dedication to continuing research and helping the underserved. Early in his career, Dr. Orloff served as an attending optometrist at the Laser and Microsurgery Institute in New York City. While there, he regularly diagnosed and treated ocular disease, cataracts, and glaucoma, among other chronic eye conditions, and he even performed laser eye surgery. Dr. Orloff ultimately decided to go into private practice and founded Bronx Eye Associates in 2003. This allowed him to follow his passion of providing optometry care to an even more diverse group of patients. Dr. Orloff is fluent in English, Spanish, and Russian, and he is currently accepting new patients.